Near the Tatra mountains and the Podhale region, there is another mountain range, much, much smaller but equally picturesque and interesting. These are the Pieniny Mountains, famous among the tourists for Dunajec river rafting. In Pieniny, the Dunajec river meanders between limestone rocks that reach about 300 metres (almost 1000 feet) above the surface of water. In spite of the stunning nature there is also a cultural aspect of this trip: traditional, wooden canoes steered by a group of Highlander people called ?flisacy?. They have been rafting with tourists, here in Dunajec, since the 19th century. All of the Highlanders are gathered in a special association and traditionally come from only five villages : Czorsztyn, Krościenko, Sromowce Niżne, Sromowce Wyżne and Szczawnica. They control the rafts with long, wooden poles, and also act as guides ? telling many interesting stories, jokes and anecdotes in the local dialect. It is definitely a ‘must see? place in Poland! 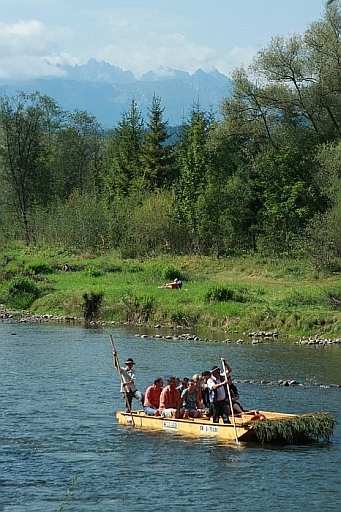 But rafting is not the only attraction of Pieniny. The Dunajec river has always been the natural border between different countries, lands, and regions. 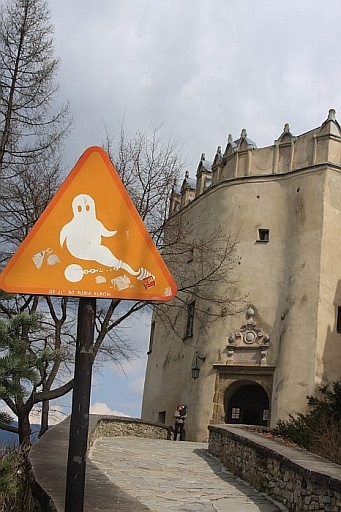 Nowadays, it divides Poland and Slovakia, but this was not always so. Since medieval times, Poland’s neighbor to the south was the Kingdom of Hungary. 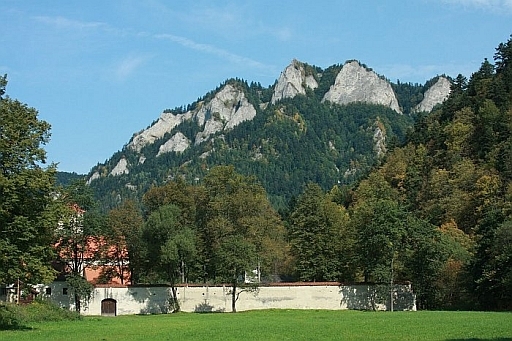 Here in Pieniny, on both river banks, are located two castles: one in Czorsztyn ? on the historic Polish side, but today only the ruins remaine. 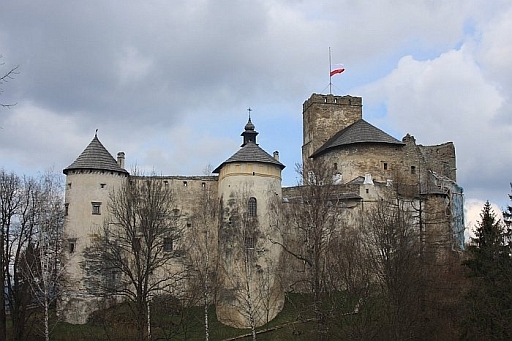 From the historic Hungary bank (presently in Poland as well) there is Niedzica Castle. It was erected between the years 1320 and 1326 by Kokos of Brezovica. Due to its location on the hill over the artificial lake (created in 1997 on the Dunajec river) it is known as one of the most picturesque castles in all of Poland. The castle has a long, beautiful history with many mysteries and riddles hidden in the castle walls. One of them is a story of an Inca princess married to Sebastian Berzevicy, one of Niedizca’s owners, in the 18th century. Testaments of the family have mentioned some lost treasures of the Incas hidden in the castle and some ?Quipu? writings have also been found in the castle. The notion that an Inca treasure map could be hidden somewhere in the depths of the castle is still cherished today. Niedzica Castle. All pictures source: PolishOrigins resources.